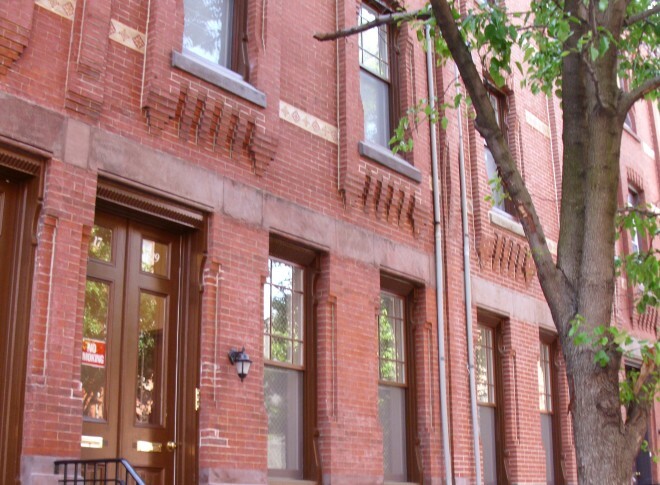 In 2006, Mission First was approached by Enterprise Community Partners, one of the nation’s largest syndicators of affordable housing, to step in and stabilize a troubled North Philadelphia property. The 98 units of affordable housing were spread across 51 brownstones on two different North Philadelphia blocks. Originally built between 1868 and 1875, the historic properties were initially developed as single family homes and they exhibit the Victorian architectural details unique to that era. In 1994 the 51 brownstones were reconfigured by a local developer to provide affordable family housing under the Low Income Housing Tax Credit Program. However, by 2006, after years of mismanagement and neglect, the once beautiful, historic buildings were deteriorated and in desperate need of a renovation. Not only had the properties become an eyesore, they were a source of many neighborhood problems and dangerous places to live for the residents who called the brownstones home. At Enterprise’s request, Mission First acquired the properties, stabilized operations and recapitalized the project in two phases (Temple I and Temple II) using the Low Income Housing Tax Credit Program. This supported a large-scale rehabilitation and preserved the long-term affordability of the project. The restoration of these properties provided 98 units of quality affordable housing for families in North Philadelphia, and heightened the historic sense of place that permeates the neighborhood. Moreover, collaboration with the local police captain, the ongoing presence of Mission First’s resident services staff members, and new security features have helped reduce area crime, making the neighborhood safer for families.